‘I made my first visit to Newbury on a bright February morning. This busy market town has a history of environmental activism. Protests against the new bypass made national news in the 1990s: thousands of people demonstrated against the felling of nearly 10,000 mature trees, and a core group of protestors set up camp in the treetops, refusing to be dislodged. Eventually, the bypass was built, but the ‘Third Battle of Newbury’ was a historic moment in green campaigning. I was on my way to see a different kind of environmental action, a community project which will enable people to get closer to nature not in protest but for their own wellbeing. 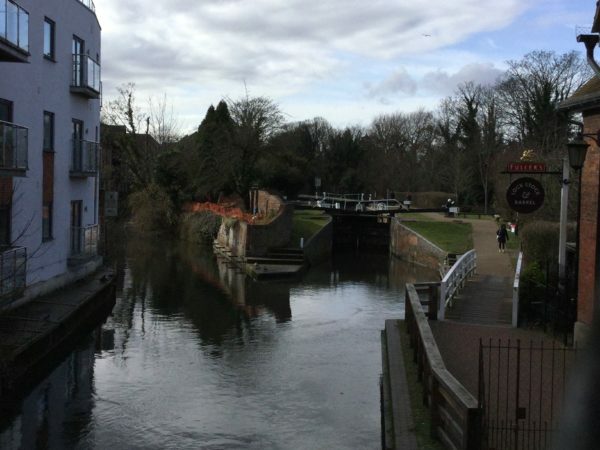 The Kennet and Avon Canal was officially reopened in 1990, shortly before the bypass protests began. Campaigners had been working for 40 years to save the canal system, which was threatened with closure by the British Transport Commission in the 1950s. One of the key figures fighting for the restoration of the canal was a local engineer and waterman, John Gould MBE (1913–1999). 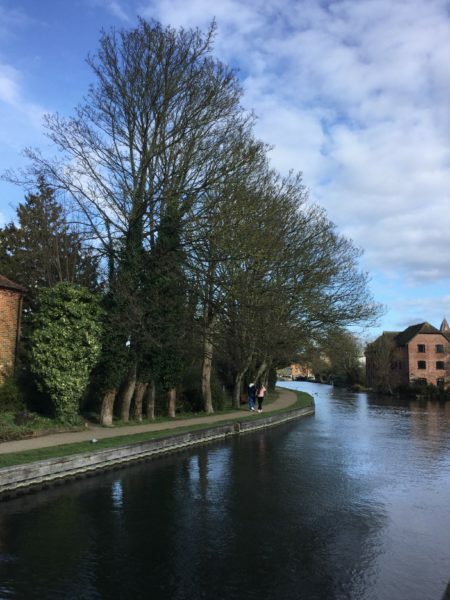 Where the River Kennet runs though Newbury Lock, just a few hundred yards upstream from the town’s main bridge and shopping street, the waters flow around a small island. John Gould and his family used the island as a garden, and loved the spot so much that both he and his wife were later laid to rest there under a modest gravestone. Ironically, given Gould’s own efforts at restoration work, this beautiful space slowly lapsed into neglect. Now, however, this acre of “secret garden” is being restored. 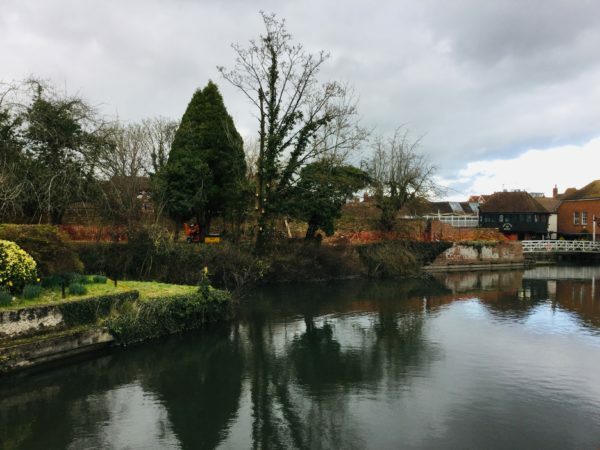 The garden has been “adopted” from the Canal and River Trust by West Fields’ Community Matters group and the Secret Garden Project is now working hard to bring this space back into the heart of the Newbury community. I’d received a commission from the Secret Garden Project to write a poem suitable for installation on the island, and I was keen to discover all its secrets. Sukey Russell-Hayward introduced me to the project as we crossed from the towpath to the island, treading carefully over the lock gates. (The Canal and River Trust will install a new bridge so everyone can safely access the space). 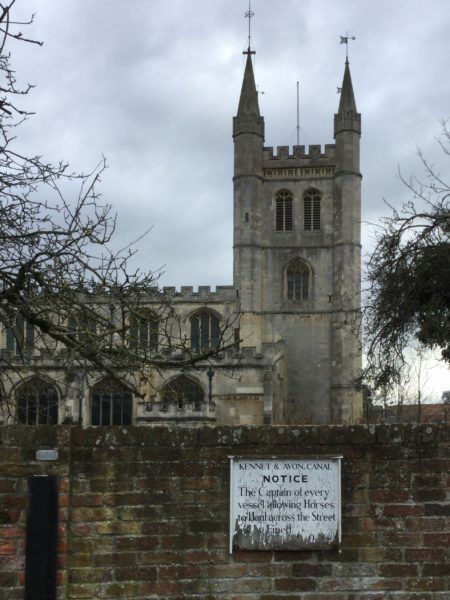 Sukey unlocked an ornate gate in a crumbling red brick wall, and we stepped into a secluded space, a sliver of land with a view of St Nicolas Church on the opposite bank, and the bridge downstream. The garden’s a work in progress, presently overgrown with alders and ivy, so Sukey explained the aims of the project: a series of garden rooms for the community, offering a space for education, friendship and relaxation in the middle of town. As we walked up and down, she pointed out areas set aside for a cottage sensory garden full of tactile and scented planting, accessible raised beds for growing herbs, and willow coppice. The area where John and his wife are buried at the centre of the garden will be a quiet space, suitable for meditation. 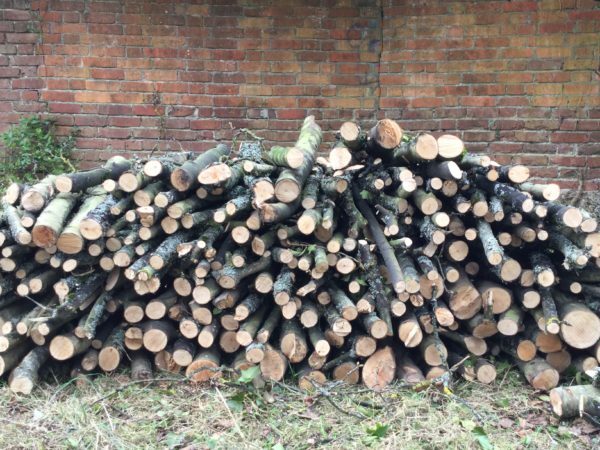 Already shrubs have been cut back to form glorious woodpiles (aka insect hotels), and the mature apple trees and evergreens instil a sense of peace.